What is CICA (and Why Does China Care About It)? What is China’s vision for the Conference on Interaction and Confidence Building Measures in Asia? The Conference on Interaction and Confidence Building in Asia (CICA), to be held in Shanghai next week, is being publicized by the Chinese government as the two most important symbols of China’s “host diplomacy” in 2014, placing CICA on the same level as November’s APEC summit. Given the lack of a security mechanism covering all of Asia, there are hopes CICA can become a template. Plus, importantly for China, CICA is closely intertwined with the topic of anti-terrorism, from its basic concept to the participating members. 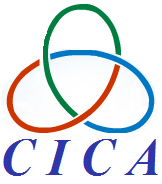 CICA was promoted by Nursultan Nazarbayev, the President of Kazakhstan, at the UN General Assembly in 1992. At that time, the world situation was undergoing great changes — the collapse of the Soviet Union, drastic changes in Eastern Europe, the conclusion of the Cold War. Against this backdrop, the world was discussing the possibility of a new international order. As the leader of a newly independent country, Nazarbayev’s idea highlighted the international status of his country and at the same time fit with the theme of global peace and development. But it was not until 10 years later, in 2002, that CICA held its first leaders’ summit. The impetus for this meeting came from the 9-11 terrorist attacks of the previous year. Thus, counter-terrorism became an important issue for CICA, and this theme has run through the subsequent meetings. The 2014 CICA summit is also inseparable from the topic. In western China, the counter-terrorism situation is increasingly grim, and terrorist attacks are more frequent than ever within China’s borders. Against this background, CICA has brought together China’s western neighbors to discuss anti-terror cooperation. The practical significance for China is obvious. Most CICA member states are actually western Asian countries. CICA’s member states include Central Asian countries such as Uzbekistan, Kazakhstan, Tajikistan, and Kyrgyzstan; Middle Eastern countries such as Iran, Israel, Palestine, Jordan, the United Arab Emirates, Iraq, Bahrain, and Turkey; Western and Southern Asian countries such as Afghanistan, Azerbaijan, India, and Pakistan; and East Asian and Southeast Asian countries such as China, South Korea, Mongolia, Vietnam, Cambodia and Thailand. In addition, Russia and Egypt, which each have some territory in Asia, are also members. In addition, there are nine CICA observer states, including five from South and Southeast Asia (Bangladesh, Indonesia, Malaysia, the Philippines, and Sri Lanka). Japan, the second-largest economy in Asia, is also an observer state rather than a full member. The U.S. is an observer as well. Simply put, outside of the Shanghai Cooperation Organization (SCO), CICA is the second most important platform for international cooperation that does not include the United States and its important Asian ally, Japan, as members. CICA is a mechanism emphasizing the security situation in western Asia, , with China and Russia as its dual cores. The security of western China is partly dependent on the security situation in western and central Asia. Likewise, the security of Russia’s territory in the Caucasus region also depends on the concerted efforts of the central and western Asian countries. China’s need for security in the Western region is growing each day. China is gradually implementing the “New Silk Road Economic Belt,” the “China-Pakistan Economic Corridor,” the “Bangladesh-China-India-Myanmar Economic Corridor” and other “March West” strategies. As these plans take shape, the western Asian countries will become an important future focus of China’s. “Looking west” has already become an established policy for Beijing. The CICA Summit gives China an opportunity to promote regional exchanges in both anti-terrorism and economic cooperation. In the eyes of China and some Asian countries, security in Asia is heavily reliant on external forces. The question of whether Asia can form a multilateral security system that covers most countries may determine the direction of Asia’s future development. If CICA can take up this challenge, many countries would be happy to see that. It is worth noting that CICA is currently just a mechanism, like the “Shanghai Five Mechanism,” the precursor to the SCO. CICA has not yet become a group or organization, and thus its resolutions and policies are more symbolic than anything else. Whether CICA can become a cohesive organization in the future remains to be seen. After all, its important functions — such as counter-terrorism — overlap with those of SCO, but CICA does not have the SCO’s core competencies. The largely China-led SCO has closer cooperation and communication on the issue of counter-terrorism. It is a relatively small-scale group with China, Russia and “the ‘stans” of Central Asia as the main members. The countries have greater overlap on their mutual interests, and SCO avoids the sort of diverse communication issues that plague larger international organizations. Thus, each year SCO, like NATO, can hold meetings, formulate policies, exchange mutual assistance, and focus its cooperative efforts. By contrast, there are many CICA member states with complex ideologies and diversified national interests, so it will be more difficult for CICA to develop into a cooperative organization. How China seeks international cooperation in its fight against terrorism.